Yahoo-owned blogging platform Tumblr is gearing up to launch a new live video service today, according to cryptic messages posted to the site. 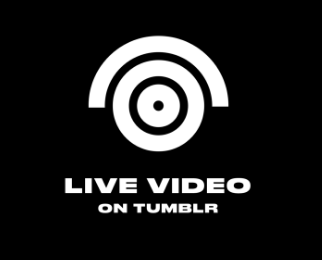 A livevideo.tumblr.com domain now hosts a number of short video clips that include the message “live video on Tumblr launches June 21, 2016”. Though details of the service have not been formally announced, the first broadcast appears to be scheduled for 4:00pm Eastern Standard Time. Titles of these apparent broadcasts include ‘we will broadcast live from the surface of mars’ and ‘a Harlem Globetrotter will teach you how to basketball’. New of Tumblr’s live video plans was reported first by Techcruch and could see the blogging service go up against services like Facebook Live and Twitter’s Periscope. US web portal Yahoo! has agreed to buy blog platform Tumblr for US$1.1 billion (€855 million) in May 2013.